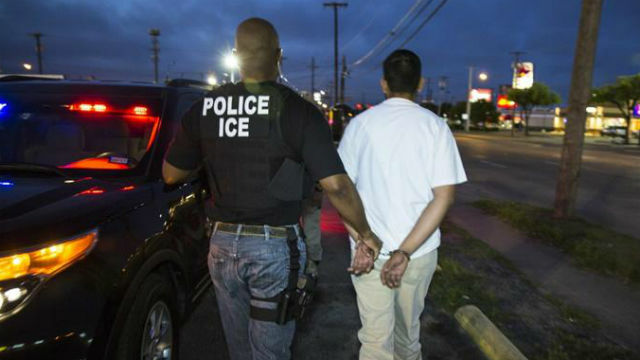 U.S. Immigration and Customs Enforcement officers, “working on leads developed by the local field office in conjunction with the Pacific Enforcement Response Center, have already arrested a number of individuals who are in violation of federal U.S. immigration laws,” ICE press secretary Jennifer D. Elzea said. Elzea did not say how many people have been arrested since the operations began Sunday, but according various media outlets reported that at least 100 people had been detained so far. The L.A. Raids Rapid Response Network, a network of civil rights lawyers and community organizers, said it condemned the apparent increase in immigration enforcement operations by ICE in Southern California. “On a day when love permeates the air, ICE has made it their business to expand its reign of terror across the land targeting immigrant communities,” according to the group, referring to Valentine’s Day. The raids come during an increased crackdown on illegal immigration by President Donald Trump, who promised during his campaign to step up enforcement. Los Angeles Police Department Chief Charlie Beck has said his officers would not take an active role in enforcing civil immigration laws. Elzea indicated that such a stance could bring risk to the community.